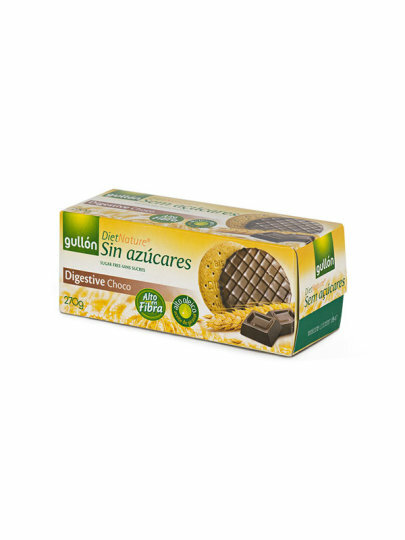 Biscuit with high fiber content with the addition of chocolate without sugar. flour of whole wheat flour, dark chocolate without sugar (cocoa paste, sweetener (maltitol), cocoa butter, cocoa powder, emulsifier (soy lecithin), vanilla flavor), sweetener (maltitol), vegetable oil (high oleic sunflower oil) lifting agents (sodium and ammonium bicarbonate), salt, flavorings. The product contains gluten. It may contain traces of milk and dried fruit.